Brother PE540D is considered a one trick pony when it comes to sewing. 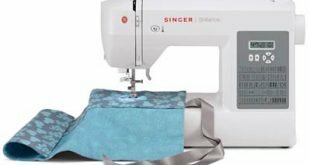 But people take this in a good way since most of the sewing machines in this classification are very reliable when it comes to the one thing that they do best. This embroidery machine does not only do well in it, it produces the best embroidery result. Why choose Brother PE540D Sewing Machine? The one good thing about looking at this review is that you get a good view of what is to come. For one, applying the hoop for the embroidery project is a very easy task. All you have to do is to snap it on and off you go. Then there is this LCD screen which you only have to touch so you can have access to all the things you want. Once you touch the screen, the design that you want will be displayed with the corresponding suggestions for the colors of thread. Once you have decided on what color of thread you want to use, all you need to do is to stand back because the Brother PE540D will do the rest for you. The good thing is that it is not a noisy piece of machine. What you will hear is a steady hum that sounds so good. In just mere minutes, the design you have chosen will be finished and in your hands. When it finishes it just simply grinds to a halt and all you will hear is bleep sounding that the job is done. This machine is the real thing. Since it is quiet it does not give the user uncomfortable working conditions. Vibrations that the machine produced are limited to none. Another thing going for this machine is that the LED red light is bright enough to light up the entire work station. The Brother PE540D has the ability to perform professional grade type of embroidery project although it is still considered a sewing machine simply for home use. The quality of the result that this machine produces is similar to what those huge professional embroidery machines churn out. It is that good. The machine can embroider into its embroidery field measuring 4 x 4. 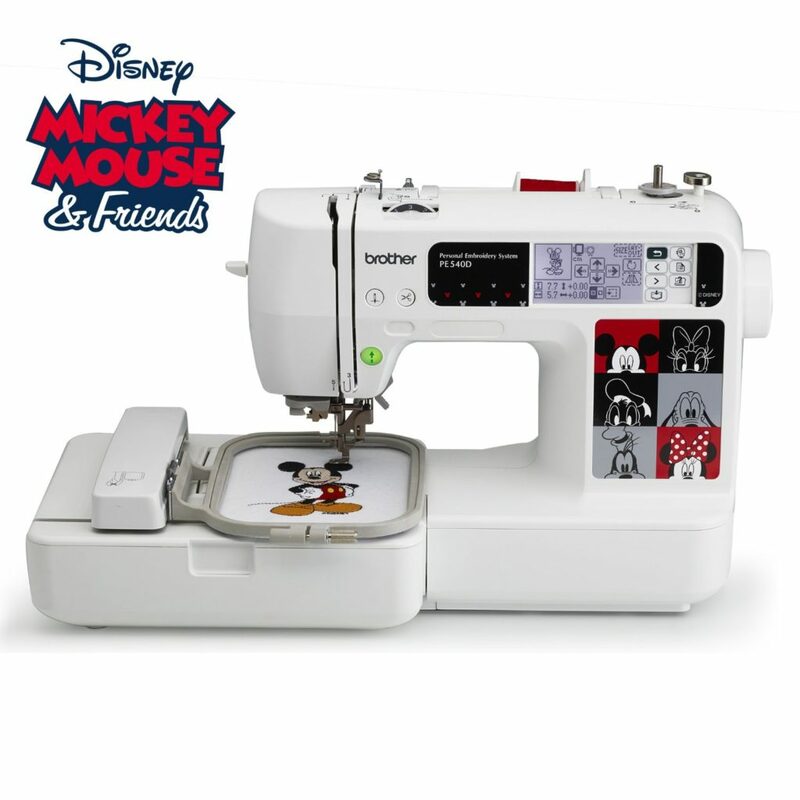 Users of this machine have the option to purchase additional embroidery Disney designs from iBroidery.com which only Brother can do. You can import up to 1000 more design. What’s more is that it comes with pattern combinations that number to 120 frames. Aside from that, another feature is that one can add a fun frame to add bit more excitement to the design. Who should use Brother PE540D Sewing Machine? The Brother PE540D can be used by both home users and professionals alike. Beginner to embroidery will certainly have fun in using and playing with its design and embroidery capability. This sewing machine is an embroidery only sewing machine and is not useful as a sewing machine. 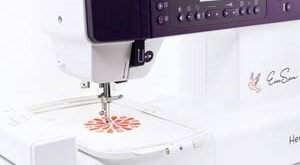 Check out the SE400 option for sewing plus embroidery. 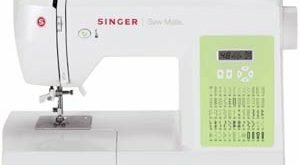 This is one embroidery sewing machine that is loaded with features. There is practically no limit in what the user can do. This is a fun machine to have if you make kids wear or other related – because of the Walt Disney inspired designs. Even if you are not into kids wear, you can additionally add your own 4×4 inch design and play with other customized design from brother. Can be connected to a computer for more design options to upload.